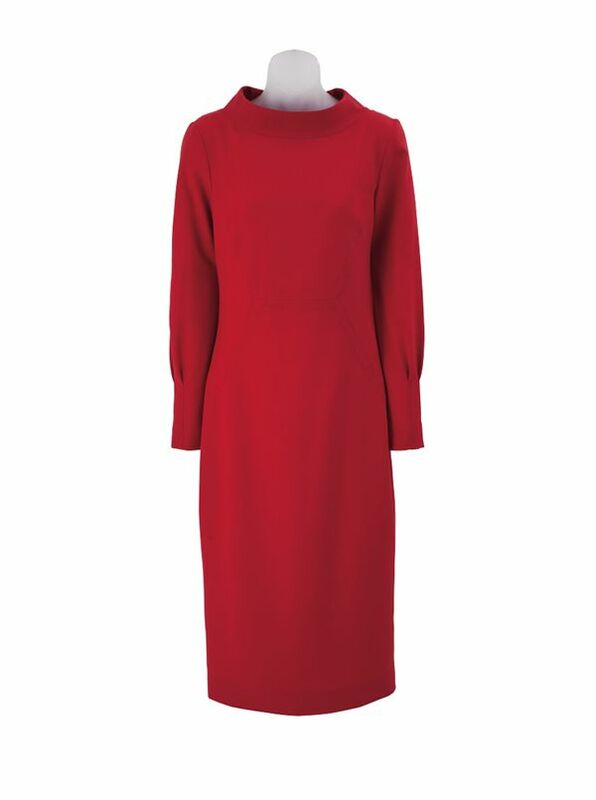 Aurora Dress by Piazza Sempione, tailored in Italy in deep red, with slightly fitted waist, stand-up boatneck, long sleeves. Just below the knee length. 44% wool/53% poly/3% Elastane.